I have come across purchasing a muddy earphone (packaging printed as High Quality Earphone) due to its cheap price I’ve bought at Miniso. Felt cheated because the quality of the sound came out muddy when listening to music on the mobile phone, be it Spotify, watching movies or any audio videos. When earphones sound muddy it was like there are too much bass/midbass and lack of treble and this makes the sound really bad and no listening pleasure. So how did I fix my muddy earphone to sound great? To make it sound right, you need an EQ to fine tune the sound for each frequency including, bass, midbass, midrange and the highs (treble). If you are using an Android phone and listen to lots of music, and have a muddy sound earphone, you have landed on the right page. 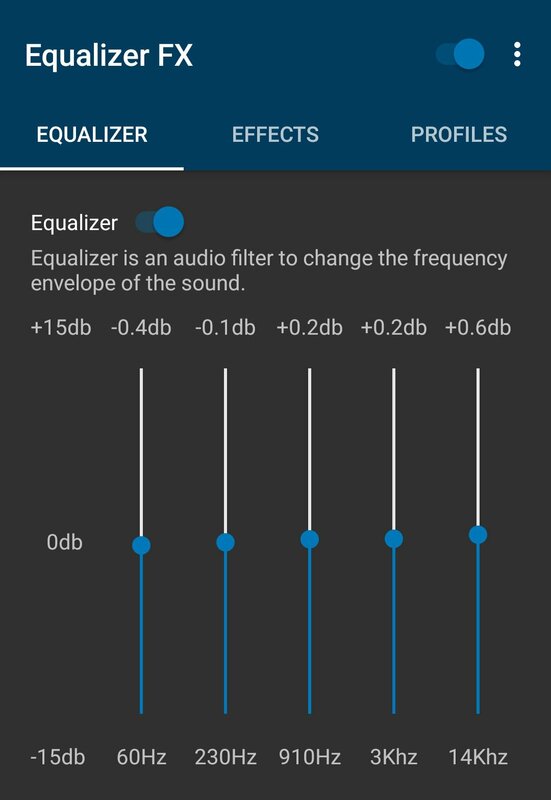 I’ve successfully fixed my earphone with an equalizer after struggling for so long for it bad sound and managed to get it to ‘sing‘ like any other earphones or even in-ear monitors! I also have an IEM by MeeAudio and the sound is flat with clear vocals and little bass. I really like MeeAudio though, you can read MeeAudio IEM review if you would like to know more about it. I have the secondary earphone for other purposes especially during sleep for music and ASMR. 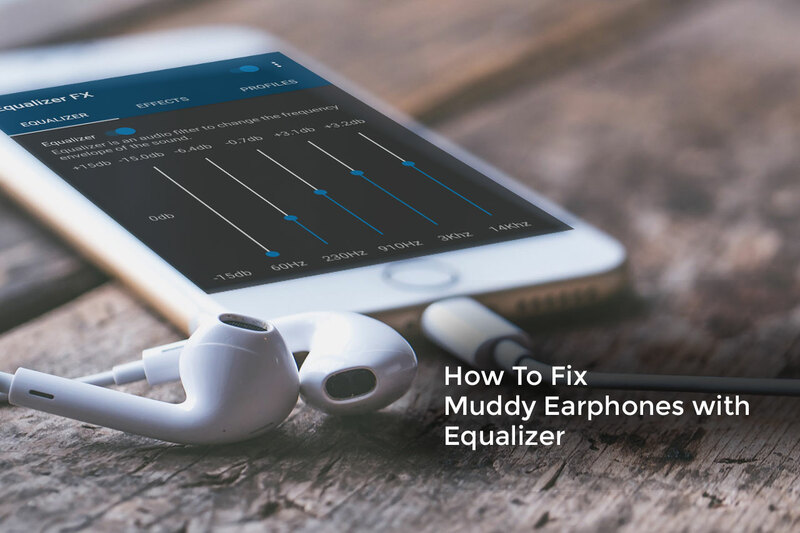 To fix your muddy earphone, first, you need to download an equalizer app from the Google Play Store. 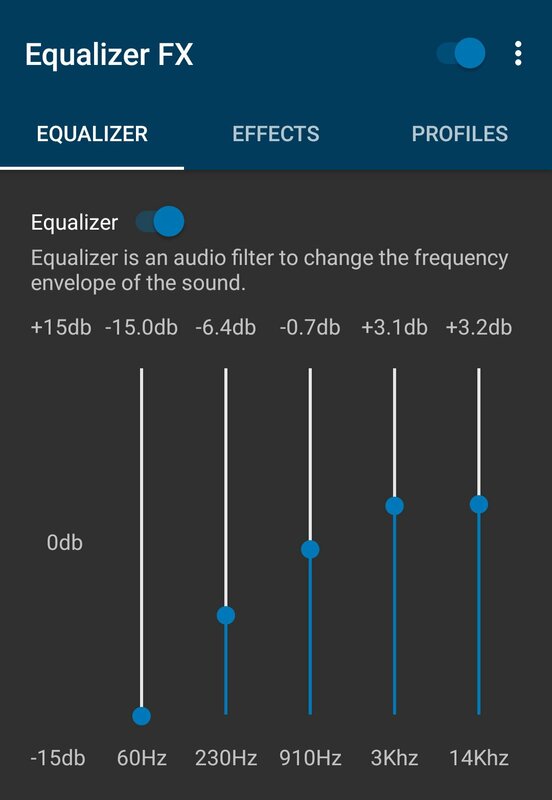 I recommend Equalizer FX, it’s user-friendly and with simple user interface. 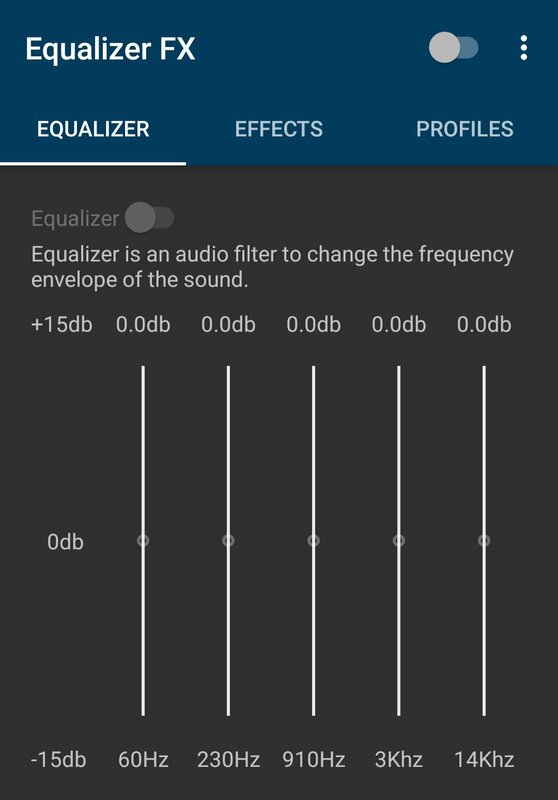 Install the Equalizer FX and open the app. You will need to turn on the EQ on the app. It will sound a lot muddier/deeper than before right after you turn on if you have a muddy earphone, but no worries. You are just one step ahead for better sound quality! Do not turn on any setting in the Effects setting. Best leave these options as default off. Now go to Profiles and scroll down the list and look out for Flat option. Click on Flat and it will load the setting. You will see your equalizer loaded with some really weird and not making sense graph but trust me, this will fix your muddy sound. Now play any favorite songs and you’ll realized your deep muddy is gone, the midrange, midbass and high will be immediately noticed. Although it is in Flat mode, you might not like it because there will be lack of bass. You can further fine tune the bass slider with a little push on the bass to -12. Too much will make the sound worse or distortion will occur, depends on your current earphone quality. 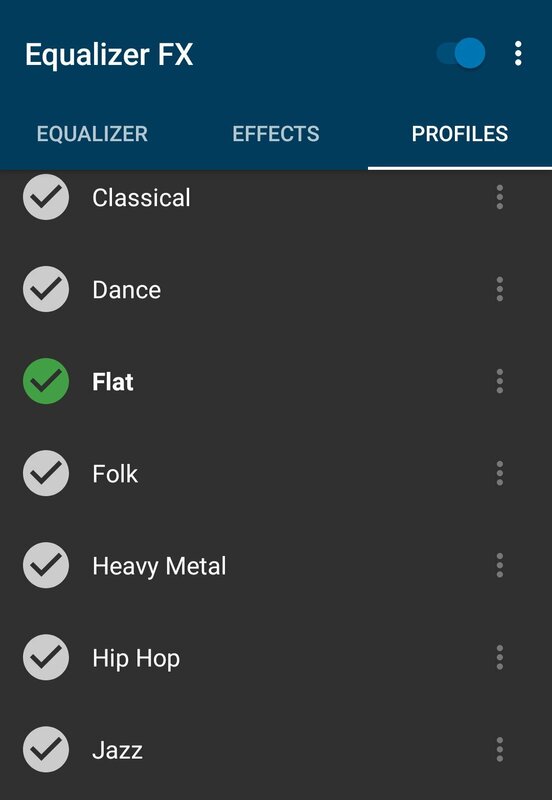 Even it is flat setting, you can still hear bass when listening to heavy bass music like House Music, Pop Songs or even Ballad. Jazz music equipment, guitar string, and vocals are now crystal clear. If you’re listening to Flat mode, you are listening to how the song is produced in the studio, which is a good way to enjoy music.